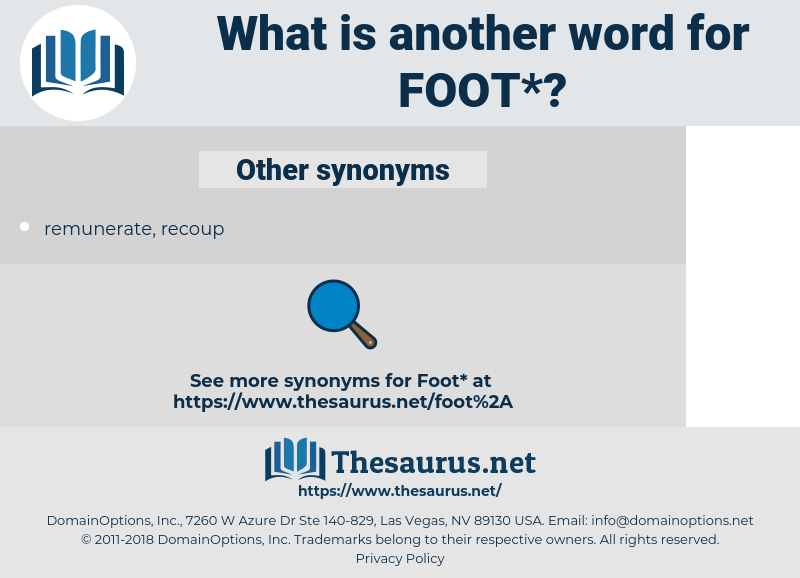 What is another word for foot? ft., Les, paw, bottom, stalk, root, walk, Hiking, formation. shoulder, paid, pay, bear, walk. 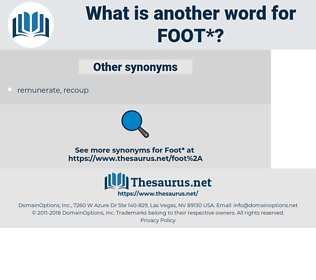 infantrymen, foothold, toe, walking, leg, hoof, footer, ankle, boot, heel, metres, pedestrian, football, Kicks. tip, pinnacle, top, tip-top, meridian, summit, zenith, vertex. She was going out on foot, and would presently return in a carriage. Her foot was on the step, and she was soon out. leg, human being, homo, human, man. intelligence officer, operative, intelligence agent, secret agent. hallux, sole, metatarsal vein, digital arteries, little toe, heelbone, instep, Os Tarsi Fibulare, great toe, Arcuate Artery, big toe, Arteria Metatarsea, Vena Intercapitalis, calcaneus, heel, Arteria Arcuata, toe, metatarsal artery, vena metatarsus, Arteria Digitalis, Intercapitular Vein.